MODESTO, CA -- HEALTHCARE UPDATE NEWS SERVICE -- NOVEMBER 9, 2017: Are you seeking to improve health plan member identity management? There is a tremendous degree of physical movement in identity information: phone numbers, job changes, name changes; address changes and others combine to make the currency and accuracy of existing member contact information questionable at best. Additionally, social determinants of health are the X factor needed to identify who needs help and how to help them achieve optimal health. Identity insight and management solutions will be critical to ensure the right approach for the right member but, more importantly, to securely house and validate identity data. 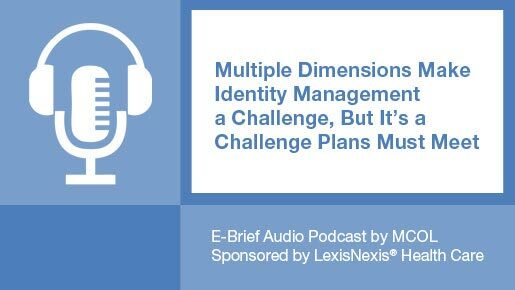 Listen to this complimentary E-Brief Audio Podcast to help make your case for tighter member identity management.